I love having lunch on the days I’m working from home. 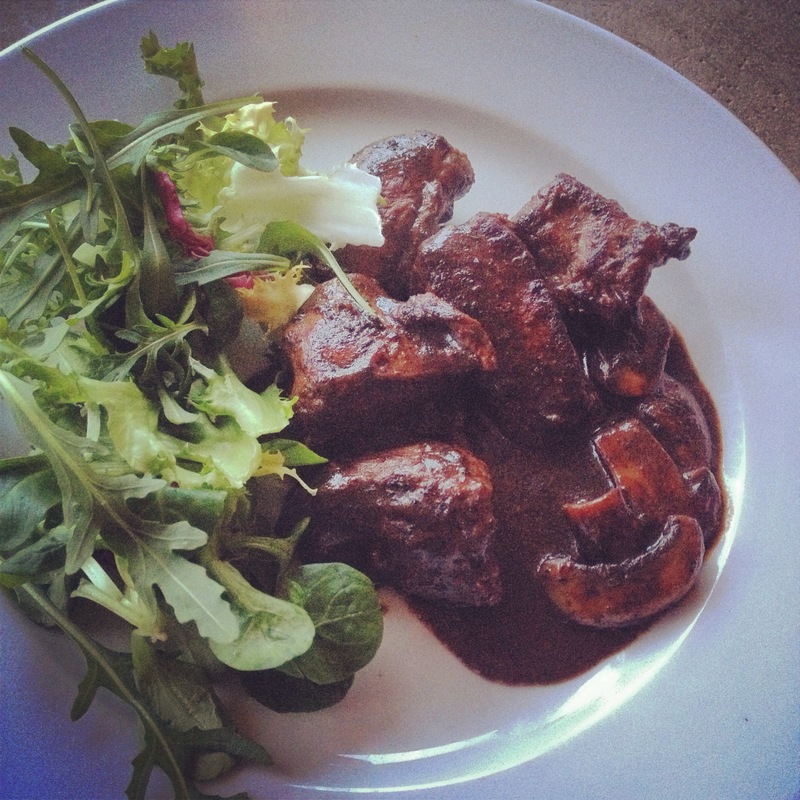 This 10 minute recipe is venison nuggets in porcini and blackthorn epiné gravy. With a side salad (not foraged in the pic), lemon soy dressing and toasted nuts. Fabulous! Venison nuggets are fried 2.5 minutes on each side in olive oil. Add a few sliced mushrooms when on the second side which will quickly take up any excess olive oil. Then a cup of water, porcini and seaweed powders (no need to add flour), and sauté for 4 minutes, until starting to thicken and almost caramelise. Add a slug of epiné and serve. The seaweed in this version was pan-toasted and crumbled laver (Porphyra umbilicalis). If you don’t have any, crumble a toasted nori sheet from making sushi. The two species are closely related. Not hugely high in iodine but a big vitamin B12 hit. You could substitute fried tofu instead of venison and you’d have an excellent vegan version!